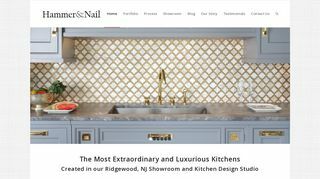 The Hammer and Nail, Inc. – Award-winning kitchen and cabinet design and cabinetry. Showroom located in Wyckoff, New Jersey. – Award-winning kitchen and cabinet design and cabinetry. Showroom located in Wyckoff, New Jersey.